Date breaches can affect a small business in unexpected ways, but there are measures you can take when it comes to reducing risks. In this article, we will look at why is it so important to educate your employees about how data breaches occur and what you, as a small business owner can do to protect your information. There are three main ways that data breaches occur, and knowing what they are and why they happen is the first step to preventing them. Sometimes, an employee will take important files home with them to work on them after hours. They may also set up applications on their work computer like DropBox which allows them to access work files from any computer. This is particularly dangerous if they don’t have adequate virus protection at home. There are several ways to combat this, but encrypting your data is the most important. You can use encryption solutions for the data, block the use of file syncing programs from company computers and use a business-grade file syncing system that allows you to erase data remotely if needed. 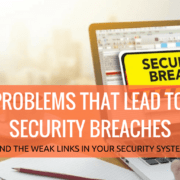 While these are typically not the fault of the employee, whether they accidentally drop a USB device in the grocery store parking lot or have their laptop stolen from their car, loss of devices that had work-related files can lead to a data breach if they fall into the wrong hands. Fortunately, taking a couple of simple steps now will limit this type of data loss. As mentioned before, you should encrypt your files, and make sure you can remotely erase files from other devices. Additionally, do not allow employees to save anything on USB devices as remote data storage. These days easy access to high-speed internet eliminate the need to take data out of the office physically. This is the hardest to guard against since the employee is actively trying to steal data from your company. Most often, this happens when an employee leaves your business on less-than-friendly terms and is seeking revenge. The best way to keep former employees from accessing your data is to have a procedure in place to immediately revoke their access to all of your files and systems as soon as they are no longer working for you. For most small businesses, this process is manual, which leaves room for human error. 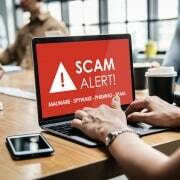 When you are facing a frustrated employee or ex-employee hell-bent on damaging your business, there are a few steps that you can take to protect your data and your business. By automating the process to remove a former employee from accessing your systems, reduces the possibility that something will be forgotten or missed by the person who is doing it. Security Information and Event Management (SIEM) programs are designed to track all logins and access to your data. These programs find suspicious activity, such as login attempts at unusual times or attempts to copy data to unauthorized locations. Depending on the event, you may be alerted, or the attempt may be blocked until you can authorize it to ensure that you know exactly who is accessing your data and what they’re doing with it. We are an IT consultancy firm operating out of Miami, Florida focusing on small business IT solutions. If you have any question, please don’t hesitate to reach out by give us a call or leave us a comment below. Thanks for reading. 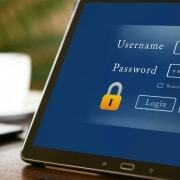 Why is password security becoming increasingly important? 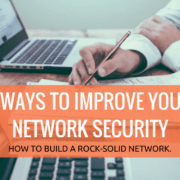 The 7 Things You Need to Do for Your Small Business Network Security.